JOEL ESCALONA STUDIO reinterprets the traditional rocking chair from Tlacotalpan, Veracruz, for The Chair That Rocks initiative. Inspired by the local easy chair, we decided to make a rocking version of it, a ‘poltrona rocking chair’ according to the local terms. 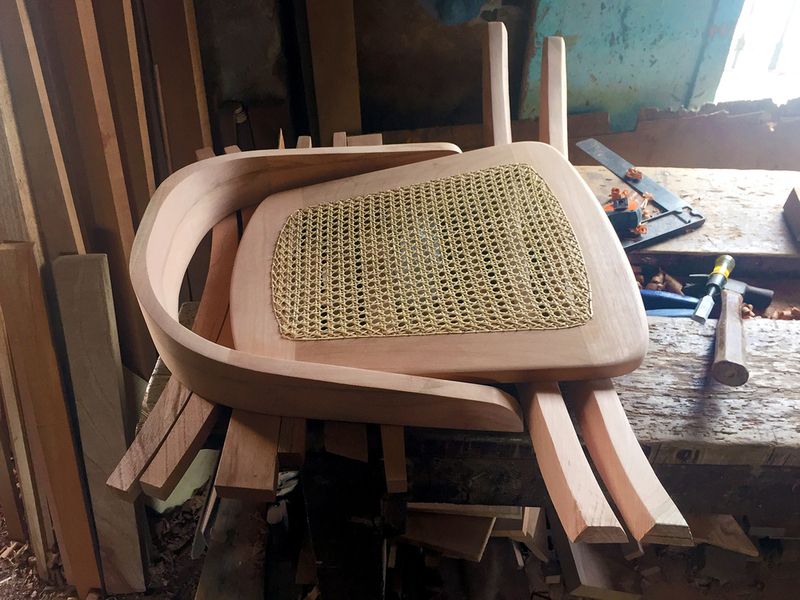 The result was really satisfying, both the experience of learning the traditions and philosophy of building furniture the Tlacotalpan way, and the merging of the craftsmen’s experience with our values in order to create a modern rocking chair that is light and fresh but still has a strong background. Rescue and preserve endemic Veracruz Tlacotalpan trades that are rapidly disappearing. Re-activate the local economy through the design of contemporary objects made in the region and Design Tourism. Convert Tlacotalpan into a "Design Destination" where artists and designers can spend time in the town, work and live with local producers, while creating a platform for dialogue and cultural exchange. Tlacotalpan was listed as World Heritage Site by UNESCO in 1998. "The urban layout and architecture of Tlacotalpan represent a fusion of Spanish and Caribbean traditions of exceptional importance and quality... Its outstanding character lies in its townscape of wide streets, modest houses in an exuberant variety of styles and colors and many mature trees in public and private open spaces." — (UNESCO, 1998). 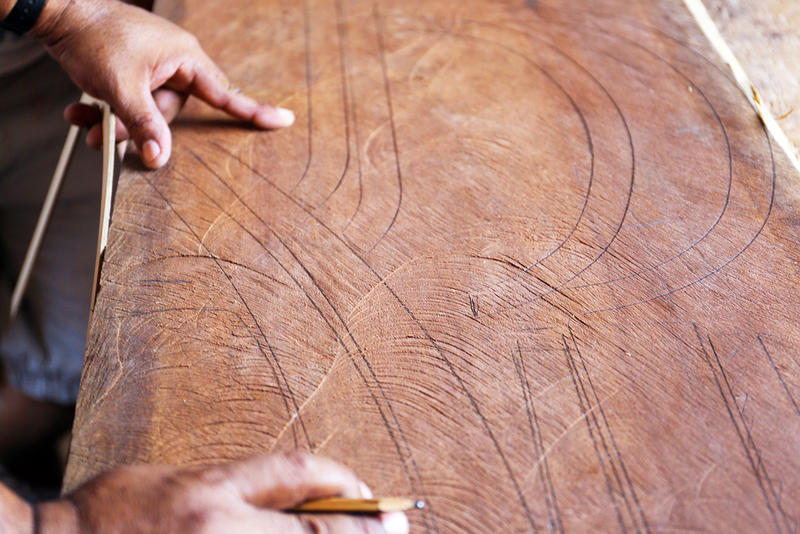 For more than a century Tlacotalpan was distinguished for hosting the best carpenters in the region. Using red cedar and traditional tools, carpenters constructed objects characterized by their high standards of quality and durability. Over time the town changed and, for economic and cultural reasons, much of the carpenter’s young children are choosing to live away from Tlacotalpan, many traditional workshops will not have someone who continue with their craft. This is the case of Oscar Prieto, owner of "Casa Prieto" a workshop where none of his sons engaged in his trade. When Oscar retires, the shop will be closed. Mr. Prieto has been a craftsman his whole life and has more than 50 years' experience working with wood; he is soon to retire and would be a pity to see all his knowledge and expertise get lost. For this reason "Casa Prieto" was chosen to be the place where The Chair That Rocks holds its workshops and, working in cooperation with Mr. Prieto and his workers, young designers can learn local and traditional techniques in woodworking. So that these young designers, not only reach a deep understanding of the matter, but also develop, impulse and project these techniques into today's both aesthetic and technological culture, this way they will remain active, making sure Mr. Prieto's legacy lives on. Before heading to the workshop, we previously worked on a design idea in order to determine general measurements; also we created some mock-ups so that we could start the conversation with the wood workers in Tlacotalpan. Along with The Chair that Rocks team we were able to select, brush and prepare the “raw” wood, an experience none of the studio members have experienced before. 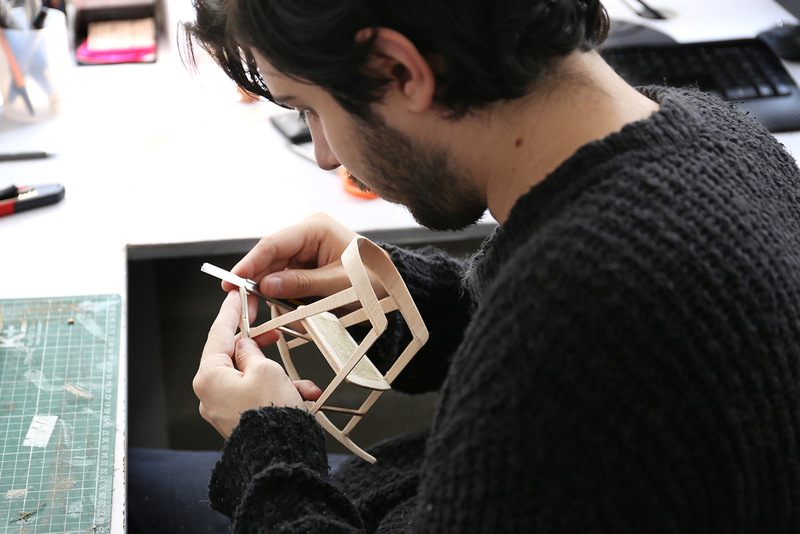 On the workshop we were able to understand the balance between the use of wicker and red Cedar. The wicker is weaved on the traditional “Ojo de perdiz” pattern, while the red Cedar wood is commonly used for its so called softness and ability to be transformed, this is how we were able to select and use a huge board of red Cedar, of course with the help and knowledge of Oscar Prieto. One of the biggest characteristics of the local carpentry is the robust looks and construction on all furniture pieces, which was one of the challenges since the beginning: To demonstrate to the craftsmen the use of lighter pieces in order to get a different product, a furniture piece suitable for modern interiors. 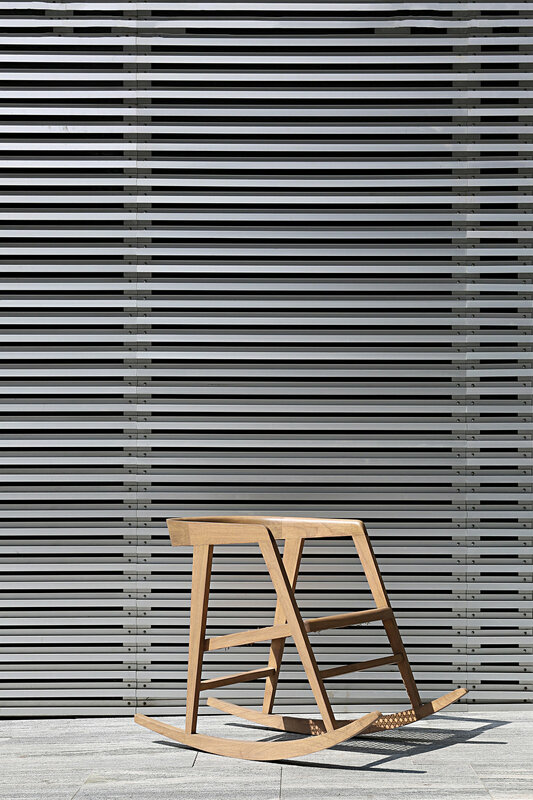 We can say the development of the chair was a discussion between the woodworkers and the studio, merging Tlacotalpan’s carpentry traditions, techniques and materials with our present aesthetics values in order to create a modern rocking chair that is light and fresh but still preserves its strong cultural background. 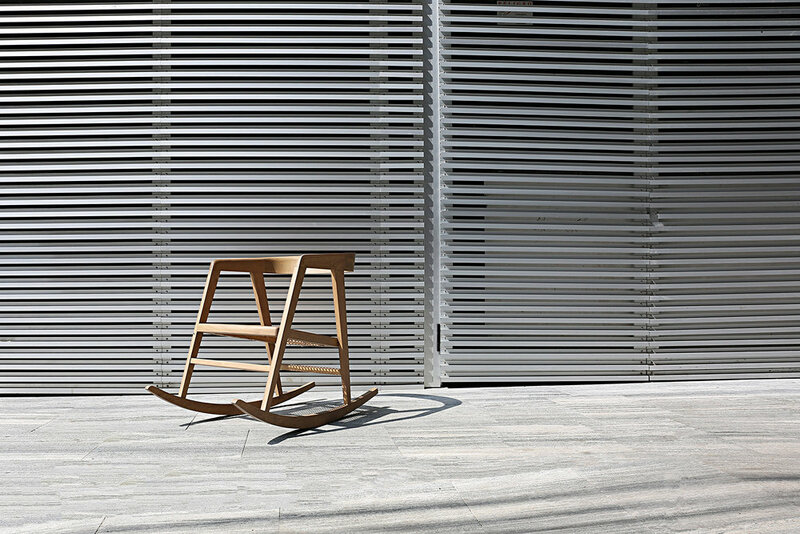 The Poltrona Rocking Chair will be produced exclusively in Tlacotalpan in limited edition, in order to promote The Chair That Rocks initiative and to contribute in the economical development of the local workshops.